Female fully winged. 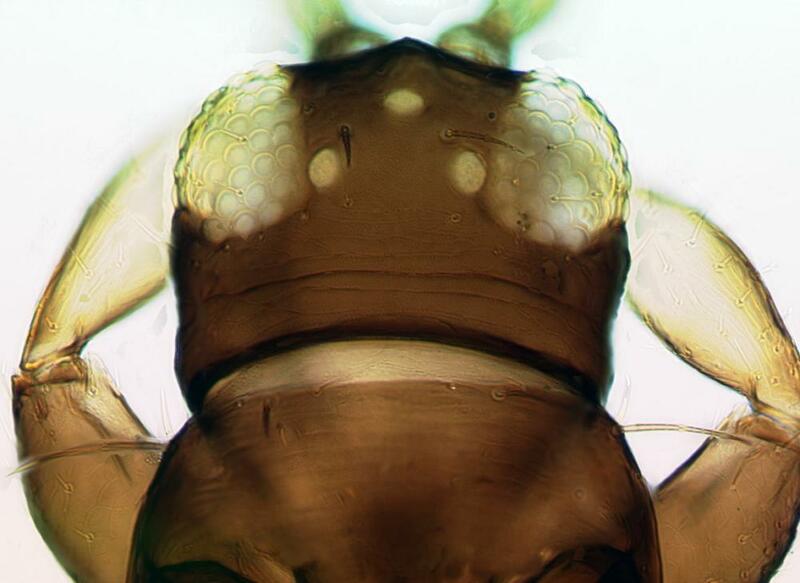 Body dark brown, tarsi and apices of tibiae yellow; antennal segments III–IV yellow, also base of V; fore wing brown with base paler. Head clearly wider than long; three pairs of ocellar setae present, pair III arising on anterior margins and longer than side of ocellar triangle; postocular setae pair I present or absent, pair IV no longer than diameter of a hind ocellus. Antennae 8-segmented; segments III–IV with apex short and not forming a neck; segment VIII scarcely longer than VII. Pronotum with 5 pairs of major setae; anteromarginal setae clearly shorter than anteroangulars, one pair of minor setae present medially between posteromarginal submedian setae, these S2 setae less than twice as long as the median setae. 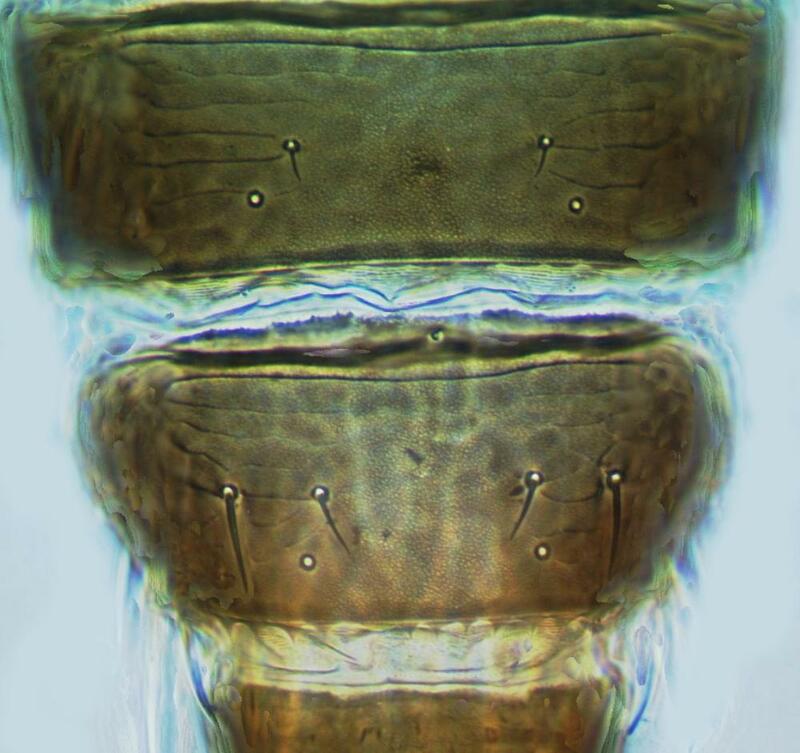 Metanotum with 2 pairs of setae at anterior margin, campaniform sensilla absent. Forewing with 2 complete rows of veinal setae. Abdominal tergites V–VIII with paired ctenidia, on VIII anterolateral of spiracle; posteromarginal comb on VIII with short irregular teeth arising from triangular bases. Sternites III–VII without discal setae. This species is not known from California, but is included here as a potential invader. F. hemerocallis is unusual in having the head particularly broad, the antennae rather short, and the pronotal posteromarginal setae S2 are wide apart. 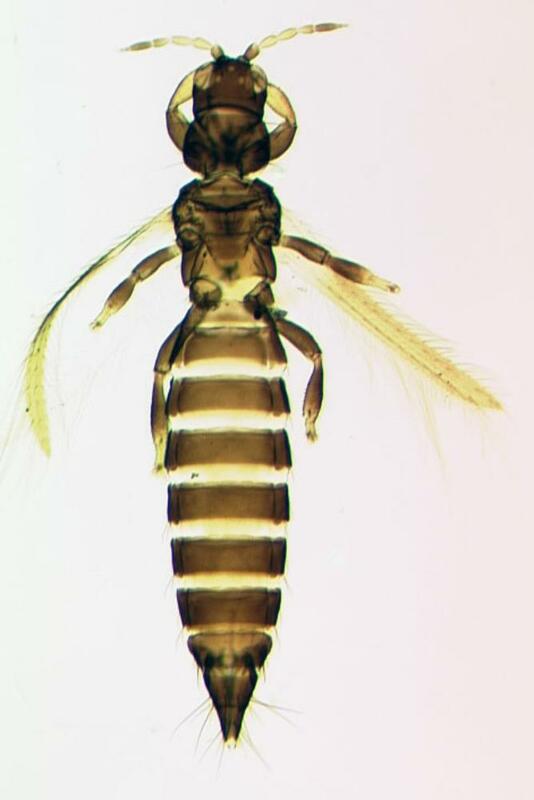 This thrips possibly originated in eastern Asia, the area of origin of the plant species with which it is usually associated. Currently 230 species are listed in the genus Frankliniella, with up to 130 further names placed into synonymy (Nakahara, 1997). This high rate of synonymy has been due to the previously unrecognized variability in size and color of so many species. On cultivated Hemerocallis lilies (Liliaceae); apparently associated particularly with the yellow flowered cultivars of H. flavus that originated in the Oriental Region. Possibly Japan or some other part of eastern Asia. Not yet recorded in California; in USA from New York, Maryland and Florida, also Bahamas, Costa Rica and Japan.